Nowhere to Lead Soldiers: A rabbit, a dwarf and an humble piece of land. A rabbit, a dwarf and an humble piece of land. Some new dwarf warriors shall finally see light during the week. 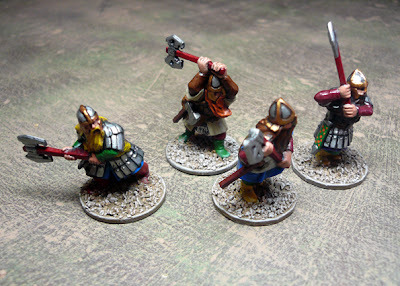 Meanwhile, here is a group of dwarves armed with double-handed axes, that I painted few weeks ago, but did not found the opportunity to publish a descent picture of them. As this blog is also a mean to keep record of all units I paint, here they are. 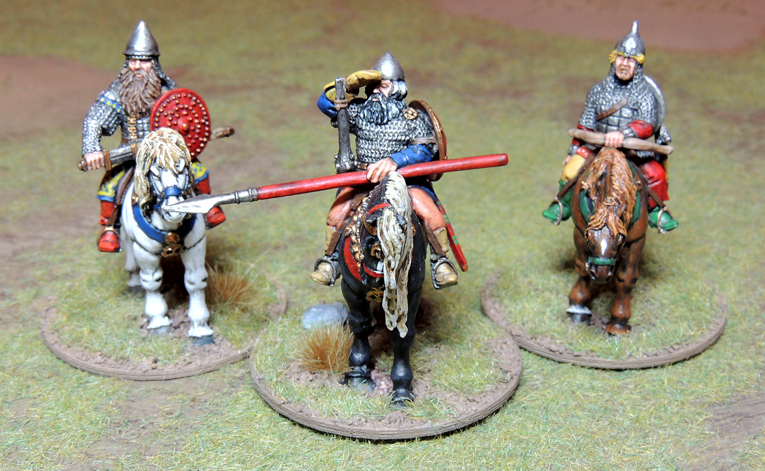 I might field them as two points of Anglo-Dvergish hearthguards. Now, my primary goal with the dwarves is really close to be achieved. Thus, I have thought my next move should be completly devoted to terrain building. And fortunatly, the postman rang my doorbell at the end of the week, right on time to support my efforts toward this new objective. 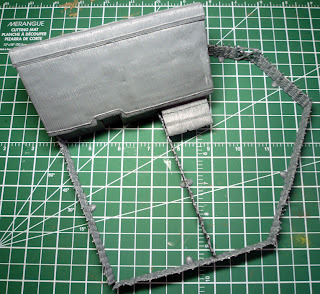 So here is a preview of what is to come next: an awfully cool slice of perryness. I'll try to arrange the wattlework fences in some sort of medieval way, and I might cut it down into pieces to round things a little. 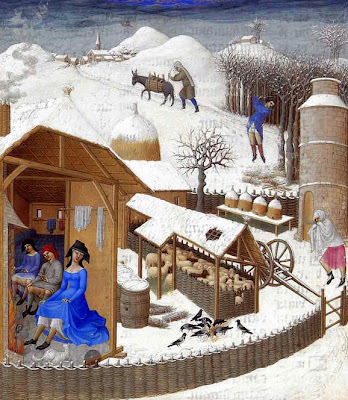 By the way, am I the only one who find some sort of ressemblance between these really handy Renadra fences and the equally famous artwork of the Limbourg's Brothers ? 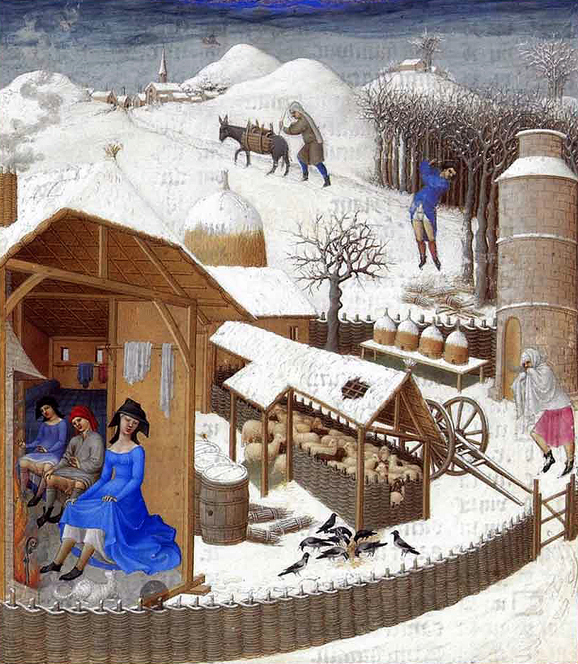 February, Les Très Riches Heures du Duc de Berry. the cottage looks so awful or you're depicted only by the fences? Been meaning to ask - what make are the Dwarfs, they're nifty sculpts. The dwarfs are Games Workshop form the Lord of the Ring range sculpted by one of the Perry twins if I am correct. 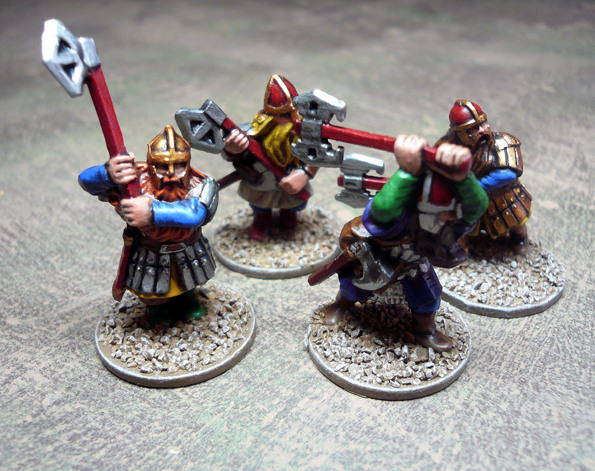 Nice looking Dwarves or should I say Anglo-Danes. 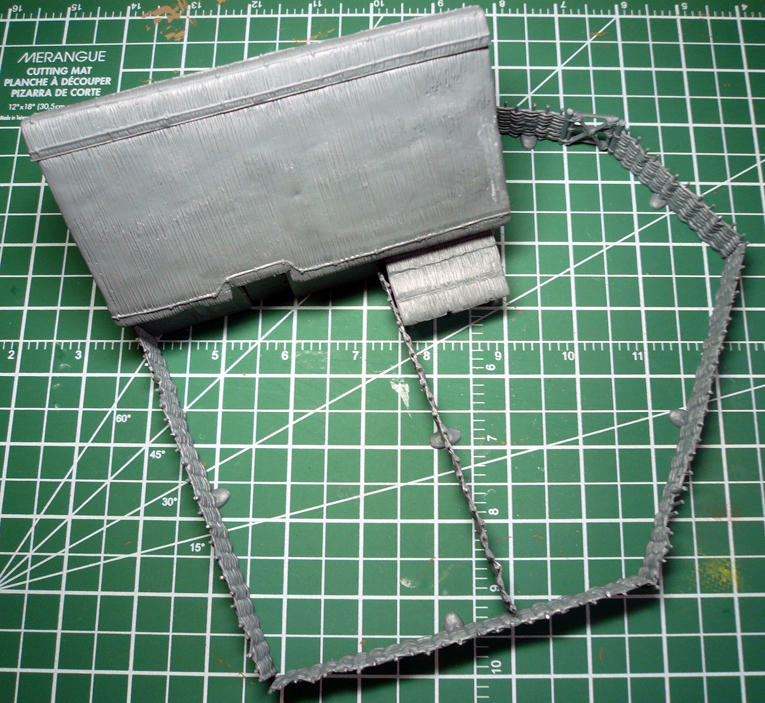 Look forward to seeing the house painted and the terrain. 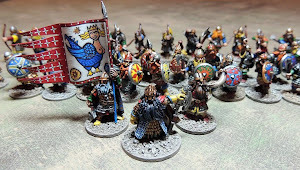 Very nice figures, dwarves are looking great! Liebster Blog Award has reach Nowhere!